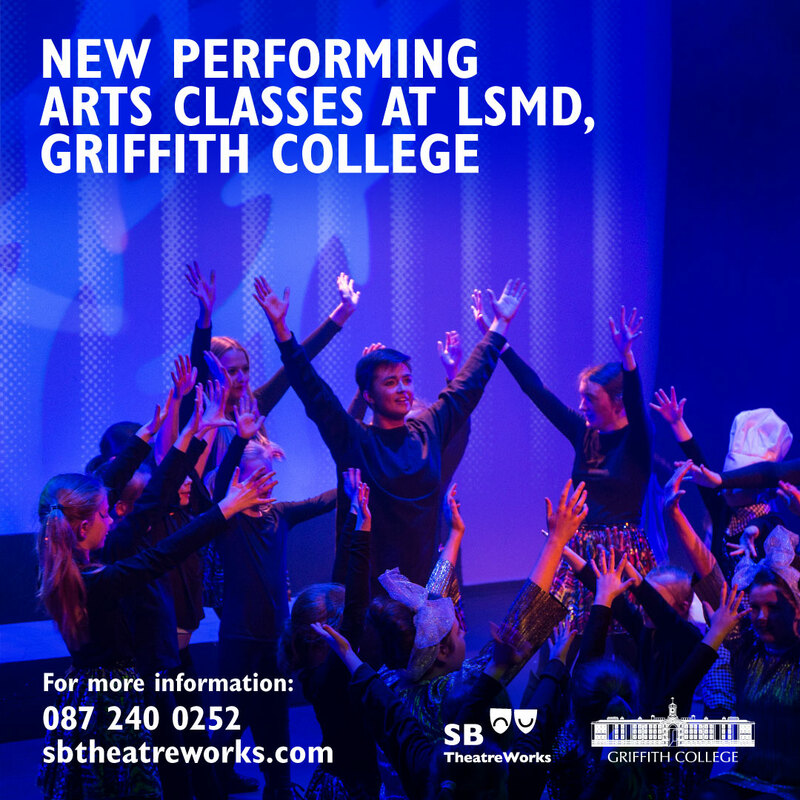 SB TheatreWorks is excited to announce a new collaboration with The Leinster School of Music and Drama (LSMD), Griffith College. From September 2019, students will be able to attend classes in performing arts delivered by SB Theatreworks in association with The Leinster School of Music and Drama. These classes will take place at Griffith College’s Dublin campus on the South Circular Road. The association brings together a vast amount of shared experience and tradition in the teaching, assessment, and advancement of drama nationally. Established in 1904, the Leinster School of Music and Drama has set and maintained national examination standards in relation to drama performance, developing countless accomplished teachers and performers. The College greatly welcomes its association with SB TheatreWorks and the opportunity it will provide for learners to enjoy an exciting and high quality drama curriculum of singing and dancing classes on the College’s campus.